Moving Tip #1: When preparing for your move, you should make a note of the following vital information: Registration Number, Origin Relocation Consultant and his/her Agency telephone number, Telephone Number, Contact Name, Driver's Name and Cell Number, Vehicle Unit Number, Destination Agent and Phone Number. Moving Tip #2: Make a note of your shipment registration number, found in the upper right-hand corner of your bill of lading, and keep it with you in case you need to call your mover with questions about your shipment. Moving Tip #3: Designate a dresser drawer for sheets and towels so that you won't have to rummage through boxes for these essentials the first night in your new home. Also check with your driver for the “parts box” to keep important parts, remotes, phones and other items needed first at your new home. Moving Tip #4: If you need to store some of your goods, it's a good idea to tour the warehouse of the mover you're planning to use. Look for cleanliness, organization, security, etc. Moving Tip #5: After you have thoroughly cleaned and dried the inside of your refrigerator, put a handful of fresh coffee, baking soda or charcoal in a sock or nylon stocking and place it inside to keep the interior smelling fresh. 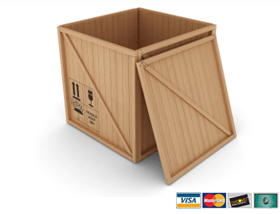 Moving Tip #6: Pack heavy items in small boxes, light items in larger boxes. Moving Tip #7: Before the van foreman leaves for your destination residence, give him your cell phone number, just in case he needs to contact you. It's also a good idea to provide him with an alternate contact number. Moving Tip #8: At the destination, first, let your electronics acclimate to current house temperature, then you may want to consider having the TV, DVD or computer hooked up in order to occupy the kids while the rest the van is being unloaded. Moving Tip #9: At destination, your Van Foreman will give you an opportunity to check off your goods as they are delivered. Make sure you have an assistant to help with delivery. Moving Tip # 10: Keep your pet calm and away from the activity on moving day by arranging for a friend to watch your pet at their house. Moving Tip #11: When moving plants to your new residence via your car, try not to let foliage rest against the windows, as the leaves will scorch. Moving Tip #12: Leave the rest to the professionals, sit back and relax, and look forward to the new opportunities, new friends, new experiences, etc., that are part of any move. Packing Tip #1: If you are packing yourself, place pictures in boxes between sheets and blankets to give them added protection. Packing Tip #2: Pack plates and record albums vertically on end, rather than flat and stacked. Packing Tip #3: Before packing medicine and toiletry items, make sure that their caps and lids have been tightly secured. Packing Tip #4: Remove bulbs before packing your lamps. Pack and Moving Tip #5: One way to save money on your move is to have a garage sale. Tag all items and be prepared to wheel and deal, garage sale gurus love to haggle. Packing Tip #6: In addition to the room and contents, have children write their name and new address on the cartons from their rooms so they can become familiar with their new address before they get to their new home. Packing Tip #7: Leave the rest to the professionals, sit back and relax, and look forward to the new opportunities, new friends, new experiences, etc., that are part of any move.